My host family uses their oven to store coffee mugs. This is perhaps the only thing you need to know about Spanish cooking. There are bakeries, obviously, and bread is a heavy staple in the Spanish diet, but when it comes to homemade Spanish cooking, your options are boiled or fried. I’ll admit that nearly two months in I’ve grown tired of a lot of the local fare, but there’s one thing I’ve been homesick for more than any other: the American brunch. As many know even before traveling, European breakfasts are famously lighter than American ones. There’s something distinctly European about the self control required to pretend you’re satisfied by a small pastry and cup of unsweetened espresso. Unsurprisingly, the Spanish don’t have a concept of brunch. French toast is a dessert for them, eggs are for lunch, and sausage is an all-day affair. For some reason, the idea of immediately wanting to take a nap after waking up doesn’t appeal to them. Well, not me. Being the American, female, 20-something that I am, I shamelessly searched for American brunch in Spain. I could only eat toast so many times before I started to miss Usdan omelets, Red and Black’s “Toast with a Twist,” and of course, the notorious breakfast pail. What really makes brunch so uniquely American? Perhaps it’s the attitude of refusing to choose one thing when you could have two. Sweet? Savory? Put them in one meal. Alcohol? Orange juice? Mix them both. Wake up at noon for it. Feminize it, because men aren’t allowed to have fun in the morning. Mornings are for girls and the gays. Like most of America, brunch used to belong to the bougie, who could afford to sleep in on Sundays and drop $25 on an eggs Benedict. Even though it remains a staple of recently gentrified neighborhoods, brunch has been democratized to a luxury that anyone can enjoy, even if it’s waking up at 1 p.m. and trudging to Swings. Brunch culture is luxurious, gluttonous, and defined by its variety—what about that isn’t American? How do you get your eggs poached in the land of café con leche and pastries to-go? Have no fear. Although foreigners may try to tell you that the world doesn’t actually revolve around the U.S.A., trust me, it does. 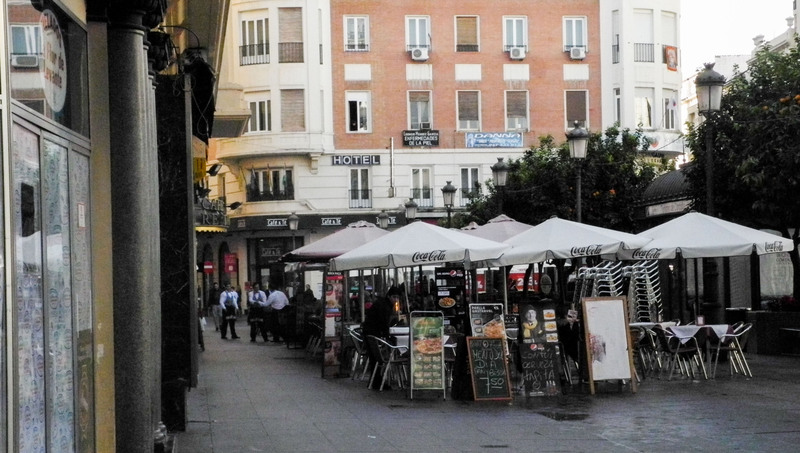 I don’t mean that in a self-important way, only that America’s cultural hegemony has permeated far enough into Spain that chic brunch spots have popped up in the most fashionable quarters of Madrid. Spanish culture mandates that you spend at least two hours eating lunch every day, so why wouldn’t they like the idea of a breakfast where you can do the same? In one restaurant in Malasaña, the “youth” neighborhood, lines form out the door to enjoy a menu with fresh-squeezed juices, huevos rancheros, and of course, pancakes and french toast. And who’s standing in line? Young Spanish women who will be inevitably far prettier than you. But you have the advantage, because last night they probably danced in a Spanish club to American music, and today they will order American-style pancakes. Of course, the point of living in another country isn’t to enjoy their attempts to mimic your own. That would be narcissistic, and ultimately disappointing. Brunch isn’t a neocolonialist tool to take over Europe–although that would be kind of fun. If anything, brunch is an occasional taste of home I can enjoy when my stomach is grumbling at noon and I have two more hours until Spanish lunchtime. The truth is, it’s hard to avoid the U.S. while abroad. There are American movies on billboards, American brands in grocery stores (although not as many as you’d sometimes like), and American fast food stores advertised on every corner. My personal favorite is Burger King’s Spanish offering, the “Long Chicken,” a chicken patty that has been molded into a shape somewhere between a football and a hockey puck. Late capitalism has spread the worst parts of the U.S. to the farthest corners of the world, and by that I mean I still hear Ed Sheeran in nightclubs. But brunch is different. Although brunch is an event defined by leisure and consumption, it’s the one meal that hasn’t been monopolized by franchises and chain restaurants. You don’t go to Burger King for brunch unless you woke up in your car. Brunch is the sacred meal reserved for mom-and-pop restaurants, and every town has its favorite locale. Sure, you can go to IHOP or Denny’s if you live by a highway or a suburban wasteland, but usually, it’s a pancake house a little less international, and a lot more close to home. Even then, “breakfast” spots like those or even Waffle Houses are usually reserved for drunken late-nights, not brunch with the gals as we know it. Brunch, the true brunch, is comfort food in its sweetest form. When you find yourself away from what’s familiar, sometimes you need a pancake coma to bring you back. Brooke Kushwaha can be reached at bkushwaha@wesleyan.edu.